Home More Health What If You Lived in the World of Persona 5? 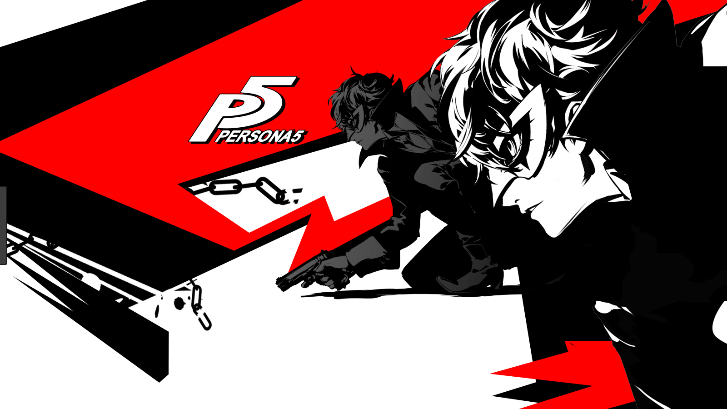 What If You Lived in the World of Persona 5? There’s no question that Persona 5 is one of the best JRPGs to come out in the past several years. It’s beautiful, it’s heartwarming, and it’s inspiring. The phantom thieves make crime fighting and busting up dangerous, warped criminals not just look easy, but look awesome. So, no one would blame you for secretly dreaming of becoming a phantom thief yourself. But before you don a black cape and start calling yourself Lupin IV, here are some things you should consider about what would happen if you lived in the world of Persona 5. Even ignoring the actual criminals that you take down in Persona 5, the other adults in your character’s life aren’t winners, either. You’ve got a crotchety old man who’s constantly reminding you that you’re a delinquent, a drunk reporter who might as well be working for the National Inquirer, a washed-up Diet politician who scammed and got caught, and a doctor who experiments on teenagers without following any IRB standards. Granted, there are some adults in the real world who aren’t great, but every single adult in the world of Persona 5 is the worst. Your Back Would Ache. Always. Have you considered how much time Joker & Co. spend crouching in Persona 5? The life of a phantom thief seems glorious until you consider that they spend what must be hours every night crouching behind vases waiting for the right time to strike. At least Free Your Spine could help you learn how to function, but you would have to be implementing their advice daily to make it through. Never mind that the majority of the characters in Persona 5 don’t have parents, the ones who do have relationships with their parents have bad relationships with them. We won’t spoil some of the winners in the lot, but the game starts with the protagonist’s parents sending him away from home because he was too much of a delinquent to handle. His big crime? Rescuing a girl who looked as if she was about to be raped. I don’t know about you, but I don’t want parents who support me that little. What kind of phantom thief is not allowed to pull an all-nighter? The kind with a know-it-all cat familiar (or human stuck in a cat body if you prefer). In the world of Persona 5, being a teenager and having actual life-saving stuff to do still doesn’t entitle you to stay up late watching Friends reruns. And who wants to live in a world where they can’t stay up late watching Friends reruns? Unless you spend all your time grinding that knowledge skill in Persona 5, that star is not growing in that direction. And according to Persona 5 rules, learning something in class that you didn’t know before doesn’t increase knowledge—correctly regurgitating something you already knew would gain you knowledge. So either you’re a natural genius, or you are never passing a class in that world—which is a bummer considering how much of an emphasis there is in that world on going on to a prestigious university. So, what’s the point of this all? Should you not think the phantom thieves are cool? Of course not. In some ways, they are even cooler when you think of them this seriously—because they manage to put up with all the crazy in their world and still make a difference. But as admirable as they are, think long and hard before you decide that you want to be like them. Because the reality is, their world is no walk in the park.